Have you ever dreamed of working close to tropical waters where you can have the opportunity to dive, snorkel, swim and spend your weekends exploring sun drenched and isolated reefs? 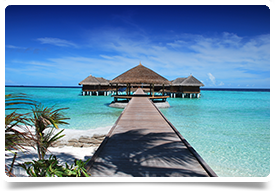 The Maldives is well known as a dream destination for honeymooners and holiday makers however we are excited to be working in partnership with a private hospital in the Maldives that is planning to transform the healthcare landscape of this stunning archipelago. The hospital, is targeted to open in Feb 2018 and will be a world class tertiary hospital and it’s aim is to improve the health standard of people living in the Maldives. If you think you may be available to commit to a 2 year contract or longer, please do get in touch with me for further details. Based very close to the capital of the Republic of Maldives (Male) you will be working in a 188-bed multidisciplinary tertiary care hospital in Hulhumale. Located in the Indian Ocean, the Maldives lie southwest of India and Sri Lanka (in the Arabian sea). There are twenty-six atolls which make up one of the world's most geographically dispersed countries. It is also the smallest Asian country by both land area and population, with a little over 393,500 inhabitants but this population can double during peak holiday seasons so you may also treat tourists while working at the hospital.